Shifting the focus of concern from the reduction of emissions to resource consumption, from industrial chimneys towards the sales point, is as well changing the role of households from being a victim of environment hazards to being co-producer. This growing attribution of environmental responsibility to households calls for their empowerment as actors, in particular by equipping them with reliable information and meaningful indicators about the resource intensity of the goods and services on supply. Providing this kind of simplified, directionally secure and transparent information for the consumer could be instrumental in order to activate the power of demand-side environmentalism. 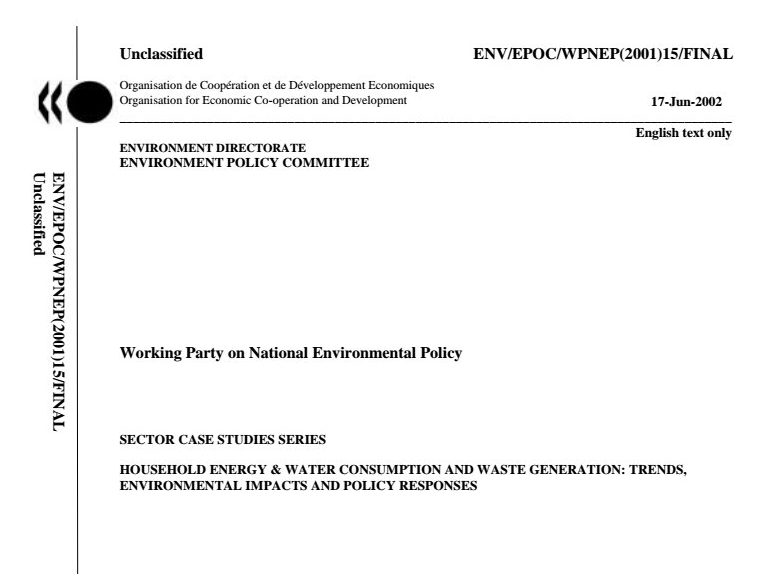 In this context the OECD in 2000 initiated a Programme on Sustainable Consumption. It provided data and analysis to help OECD countries to reduce the environmental impacts from household consumption patterns. 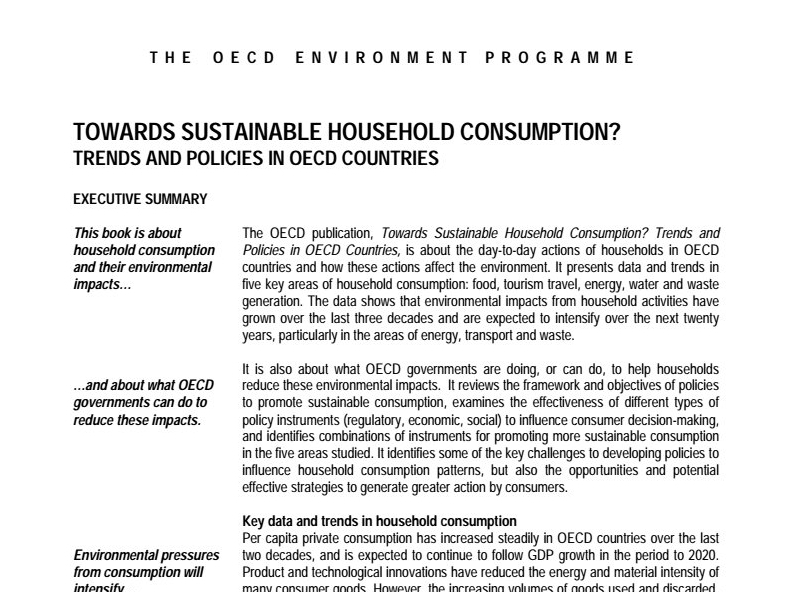 The Programme combined empirical studies of consumption trends in OECD countries with conceptual and policy analysis. Programme elements were: development of a conceptual framework to set out boundaries of analysis and policy to influence household decisions; sector case studies documenting trends, environmental impacts, and policy options in three key areas of household decision-making; policy case studies to deepen analysis of policy instruments that influence household consumption of final goods and services; and refinement of a body of indicators to assess progress towards more sustainable consumption patterns. The project destilled five general conditions which are required to create a framework for sustainable consumption. A price structure for consumer goods and services that internalises environmental costs and benefits. A policy and regulatory framework that makes clear the priorities and direction for change. Availability of a range of environmentally friendly goods and services. Technology and infrastructure that includes environmental quality criteria in the design and running of transportation networks, housing, waste management, etc. An educational, learning and information-rich environment that motivates and enables consumer action.